Jenni Fagan, July 2013. In this book, the reader is thrown right into the action. Our narrator is a girl named Anais who may or may not be crazy, but does enough drugs that it’s a moot point most of the time. She’s difficult for me to understand since she uses a lot of slang and is Scottish in the first place. 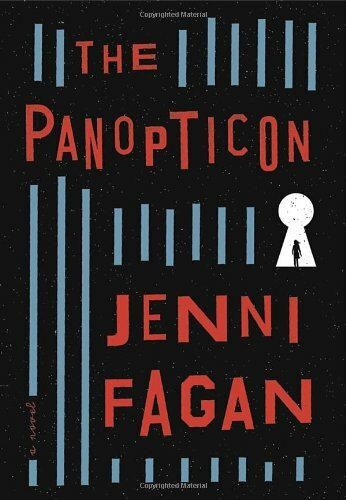 She is a foster child who’s been to dozens of homes before being placed in the Panopticon, an orphanage of sorts with eyes constantly watching from the central tower – or are they? Is this real, or part of Anais’s insanity, or a story she’s telling herself to make sense of her world, or an attempt to scam the reader? There’s no way to tell, meaning this is one of those books you want to start over from the beginning as soon as you finish it. Oh yes – Anais sleeps with both girls and boys, though she seems to prefer the ladies. Very highly recommended, if you don’t mind reading it slowly and letting the slang sink in (you get used to it pretty soon). This entry was posted in 2013, bisexual, european, gaytopia, genderqueer, Jenni Fagan, lesbian, problem novel, prostitution, queer protagonist, secondary queer character, sexual violence, unreliable narrator. Bookmark the permalink.